Aluminum window awning removal isn’t all that difficult. But, it does require a little time and effort to do it right. After all, you don’t want to cause damage to the exterior. And, if you plan to reinstall it at a later date or somewhere else, you definitely want it in undamaged condition. So, let’s take a quick look at the aluminum window awning removal and disposal process. Before you take down that aluminum window awning (or set of aluminum window awnings) you should have a plan for what you’ll do with it or them. Because it’s made mostly of recycled material, you can’t just put it on the street curb for the trash agency. If you’re unsure what to do with the fixture(s), you should call a junk hauling service. 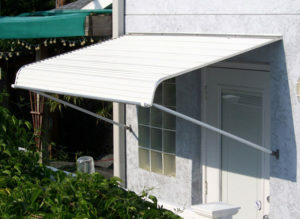 This way, you can easily get rid of the awning(s), as well as anything else that’s wasting space. Now that spring is here, you can take advantage of the season to hire a garage cleanout service, to boot. Cut through the caulk. Most (but not all aluminum window awning installations) use caulk to prevent water from running between the fixture and exterior wall. Check to see if caulk is present. If so, you’ll need to cut through it with a utility knife. Unfasten the retaining screws. 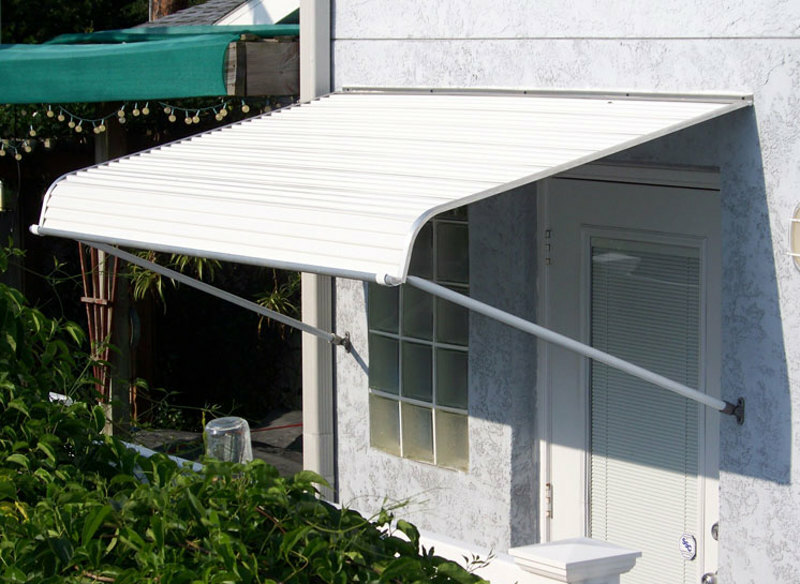 Next, you’ll locate the retaining screws or bolts which hold the awning in-place. Use a drill-driver to unfasten the screws or a ratchet to loosen and free the bolts. Gently pry the awning from the house. Now, as you loosen the screws or bolts, the fixture might shift out of position. Have someone hold onto it, if this happens. Or, you can pull or pry it away. Remove any exterior hardware to finish. To finish, you need to remove any hardware left on the exterior. Then, you can fill in the holes and paint to conceal the holes and blemishes.